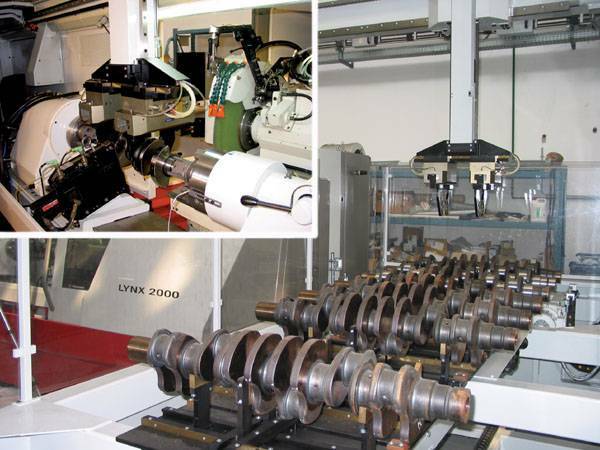 Lynx crank and cam grinders line provides a completely new, simple and flexible solution for grinding crankshafts and camshafts with a single machine. Grinding main journals, crank pins or thrust faces is achieved simply without an eccentric chuck. Both concave and convex cam contours are obtained in a single clamping, without the use of cam masters simply by using the Lynx software that controls path machining of the contours. A single machine for crankshafts and camshaft grinding. The most flexible solution for regrinding and for series production. Friendly man-machine interface and very simple machine operation. Thanks to the CNC and to specific software, crank pins and cam contours (both negative and positive ones) are achieved by means of tabular interpolation in the wheel head feed axis in consideration of the angular position and the elevation value of the workpiece. This technical solution enables the operator to achieve virtually any contour, compatible with the grinding wheel shape and machine geometry, by simple input of specific parametric data. A single machine for both camshaft and crankshaft grinding. Grinding crank pins, main bearings, thrust faces and flywheel flanges in one clamping of the shaft rotating on its centers. No need for any eccentric chuck thanks to the reciprocating movement of the wheelhead. CNC path controlled machining enables contour grinding of convex and concave cam contours in a single clamping and without the need of cam masters. Greater dimensional accuracy - roundness, straightness and angularity - for crankpins, main journals and thrust flanges. 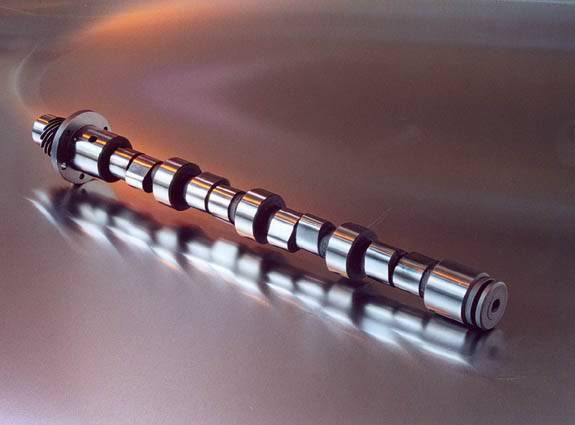 Single clamping grinding for both camshaft and crankshafts. 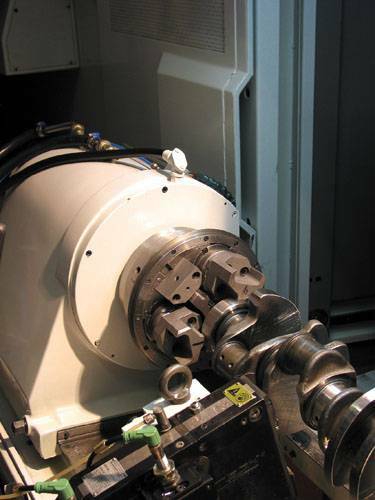 Simple and easy-to-use man-machine interface with parametric description of grinding cycles. Extremely easy control and operation of the machine, no need for programming experts. Several grinding programs both in manual and automatic. Grinding wheel can be dressed into any shape. Easy integration with any external loading system and other external measurement devices. Standard version with directdrive work-head, rotating tailstock and manual clamping of the shaft. 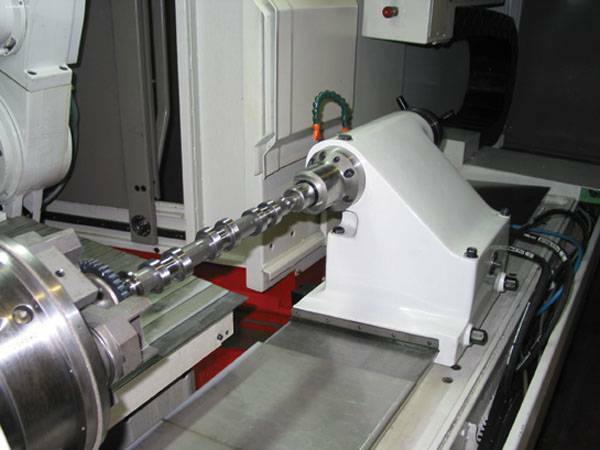 Production version with direct drive work-head, rotating tailstock and automatic clamping for production of small-medium size crankshaft and camshaft. 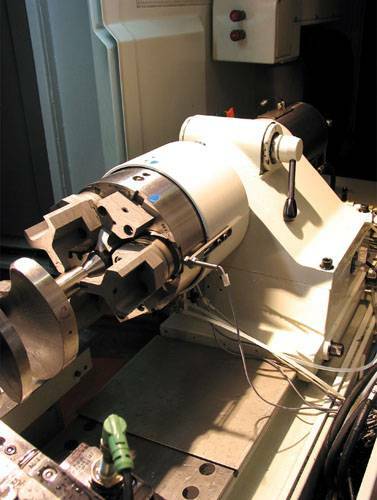 Production version with direct drive work-head, motorized tailstock and automatic clamping by means of retracting jaws for prodution of medium-large size crankshaft. fixed tailstok and second "retractable"wheelhead for concave cams grinding. 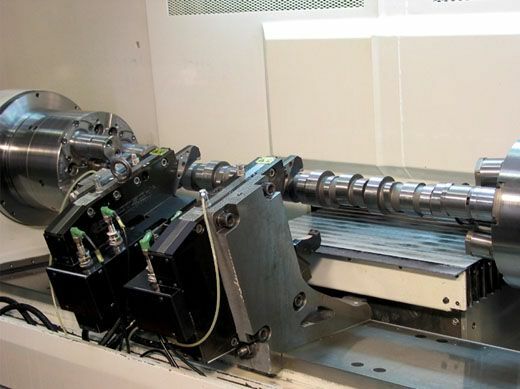 Lower capital costs (one machine for both crankshaft and camshaft). Considerably reduced production times (single clamping). Low investment: minimum cost equipment suitable to your grinding volume. Lynx crank and cam grinders line has been developed using sophisticated 3D modeling programs and FEM analysis in order to optimize the rigidity of the cast iron base and better dampen vibrations. Unique one piece of cast Iron base. Optimized design for best damping characteristic. Very high strength and rigidity. A system for thermoregulation of the base ensures maximum dimensional stability. 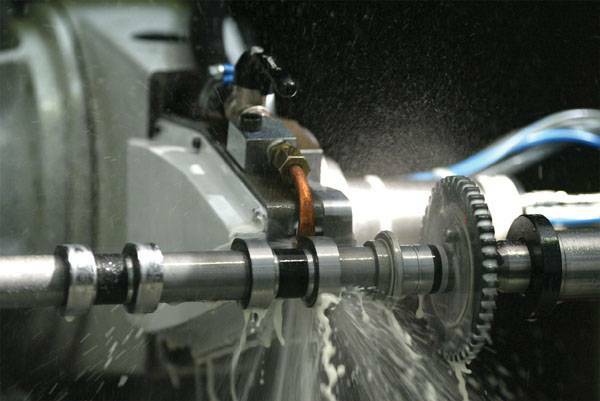 Lynx crank and cam grinders line features a motorized spindle with an integral direct drive. Direct drive guarantees a compact construction and improved dynamic rigidity. Fully automatic balancing system and vibration detector for best cutting condition of the grinding wheel, higher accuracy and quick changeover. Linear motor technology with direct drive of the X axis (reciprocating movement of the wheelhead) resulting in improved accuracy and higher rigidity of the hydrostatic drive train (no transmission errors and wear effects). Full digital drive technology and a high resolution glass scale guarantee excellent synchronization characteristics, fast and accurate positioning, and high dynamics for rapid wheelhead and table movement. Liquid cooled drives for best heat dissipation and zero contamination. Rolling guides for high rigidity even in the most severe applications. 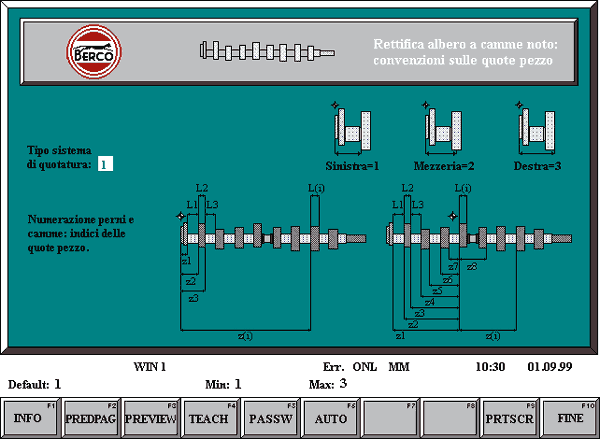 Linear encoder at the X axis resulting in min command increment of 0.1�. Conventional grinding wheels peripheral speed up to 35m/s, ideal for the production of small batches. Sintered ceramic grinding wheels-speed up to 63m/s offering higher resistance to wear and providing high removal capacity suitable for large size batches. highly productive CBN (cubic Boron Nitride) grinding wheels-speed up to 120m/s-for maximum machining capacity , tighter tolerances and particularly suitable for series production. Chatter free grinding produces a perfect surface quality. We have designed a motorized spindle to achieve this with a direct drive to the C-axis. Direct drive of the workpiece spindle guarantees a compact construction, improved accuracy, reliability and higher rigidity of the drive train (no transmission errors and wear effects). Full digital drive technology and a high resolution rotary encoder guarantee excellent synchronization characteristics and high dynamics. Liquid cooled drive for best heat dissipation and zero contamination. Encoder at the C axis resulting in min command increment of 0,0001 deg. Spindles with manuals clamping, automatic clamping and automatic clamping by means of retractable jaws in order to satisfy any possible grinding need. Optimized dimensions and solidly bolted on the table for maximum rigidity. Slide mounted tailstock with 50mm stroke is able to accommodate complete workpiece families without the need to re-set. It features a hydraulic quill retraction by foot pedal for easy workpiece clamping. 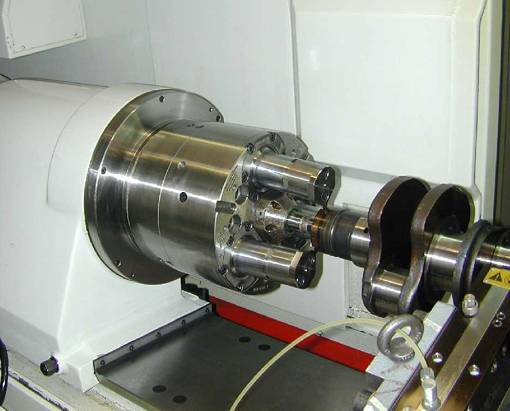 Rotating tailstock with rolling bearing, motorized tailstock and fixed tailstock for concave cams grinding are available. Linear motor technology with direct drive of the Z axis resulting in high dynamics, improved accuracy, higher reliability and rigidity of the drive train (no transmission errors and wear effects). Full digital drive technology and a high resolution linear encoder guarantees excellent synchronization characteristics, fast and accurate positioning, and high dynamics. Min command increment of 0.1�. Linear rolling guides ensure higt rigidity even in the most severe applications and prevent the "backlash" phenomenon typical of hydrostatic systems. Wide range of "follow down" hydraulic steady rests to accomodate shaft diameters from 20 to 125 mm. Marposs measuring device for "in-process" control of main bearings, crank pin diameters. A second Retractable wheelhead for grinding concave cams. It features direct drive motor which enables installation of grinding wheels with a diameters from 38 to 100 mm. 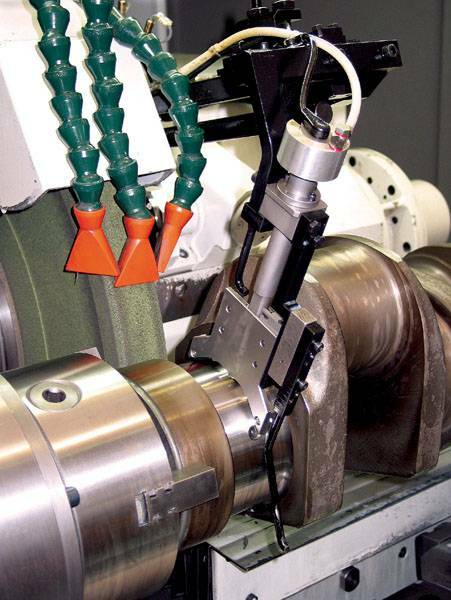 A cartesian manipulator (gantry) enables automatic workpiece loading and unloading. A cooling and cooling-lubrication device. Simple program input via keyboard, tape or disk. Background editing and programming for increased productivity. Gauging of main and crank pins diameter and thrust faces, enable crankshaft measuring and generation of the grinding cycle. 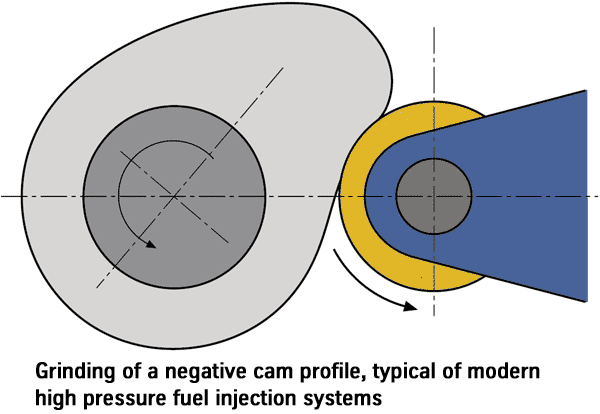 Contour gauging enables cam profile mapping and grinding profile generation without the need of the cam master. Cam profile and the valve opening curve can also be varied/corrected via CNC built in functions. The intuitive, ergonomic and logical arrangement of the operating control ensures most convenient operation. The portable PCU-terminal enables machine operation in safe conditions while closely checking on the grinding operation. 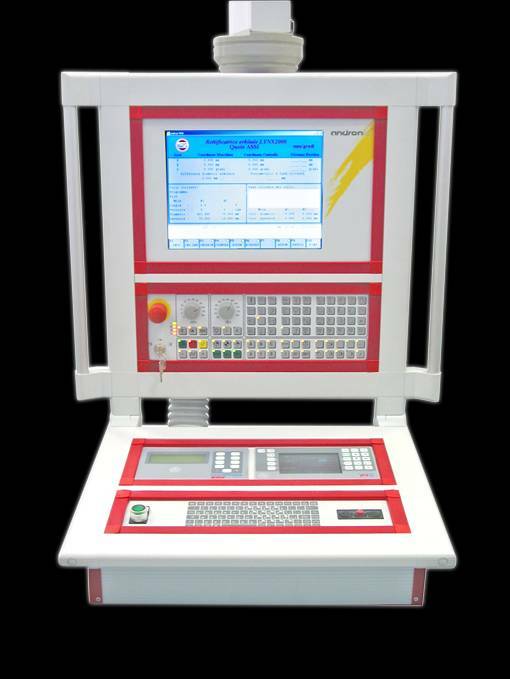 Touch detector for continuous monitoring of the contact between grinding wheel and workpiece, grinding wheel and dressing device results in minimal non-cutting times. The device works also as Integrated collision detection system. 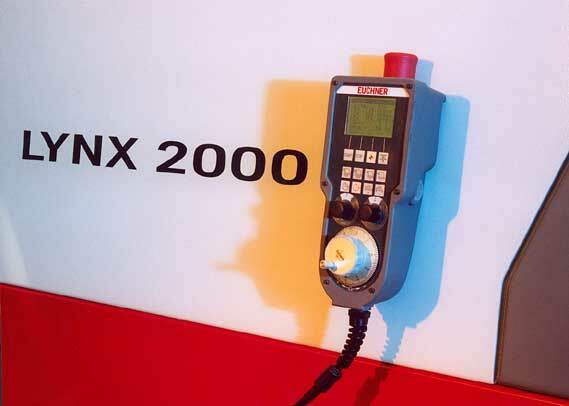 The wheel spindle drive motor control incorporates a load meter so that if the pre-set limits are passed, an overcurrent condition will initiate an emergency stop. 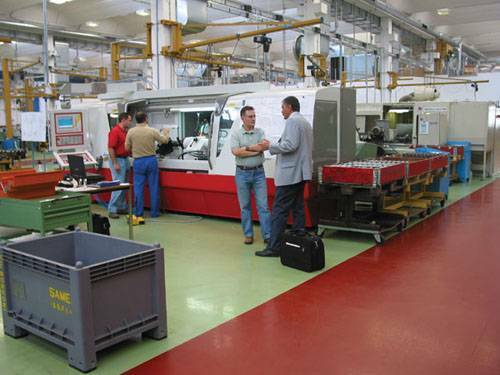 Two front sliding doors for full enclosure of the working area during machine grinding operation. During loading/unloading of the workpiece (front doors are open), two fences/panels automatically separate the working area from the wheelhead (that slides all the way back along the X axis) and the operator is fully protected even with the grinding wheel rotating. 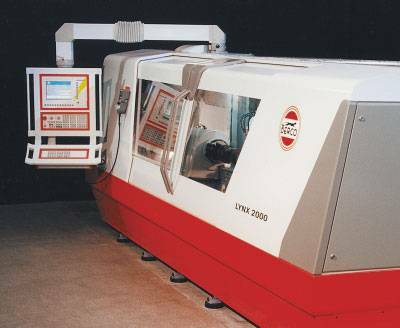 Lynx2000 has been built according with the CE norms and EMC directives regulating manufacture of machine tools. All safety features have been arranged in such a way as not to hinder the ergonomy of the machine and the production of the operator. Comfortable operation by means of Lynx software programs and operator support by easy to use menu technique. Control and simulation of the generated grinding cycle in real time. 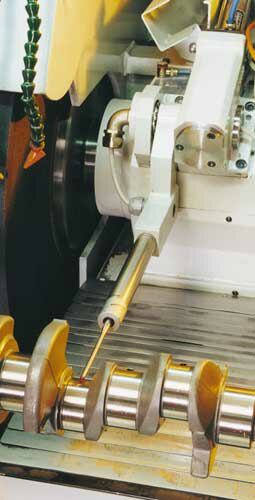 Cylindrical grinding (oscillation of the table on the Z axis). Plunge cut and multi-plunge cut grinding. 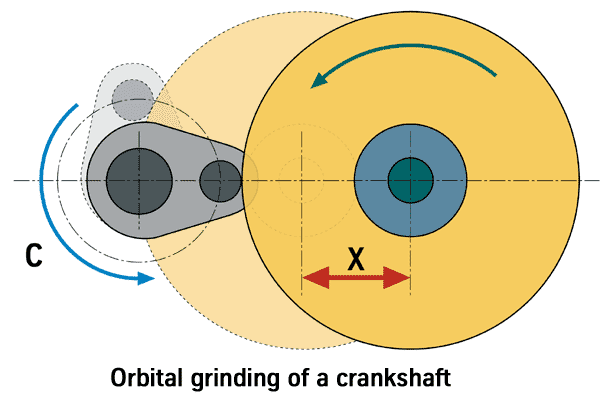 Orbital grinding of crankshafts (reciprocating of the wheelhead on the X axis following the workpiece rotation on the C axis). 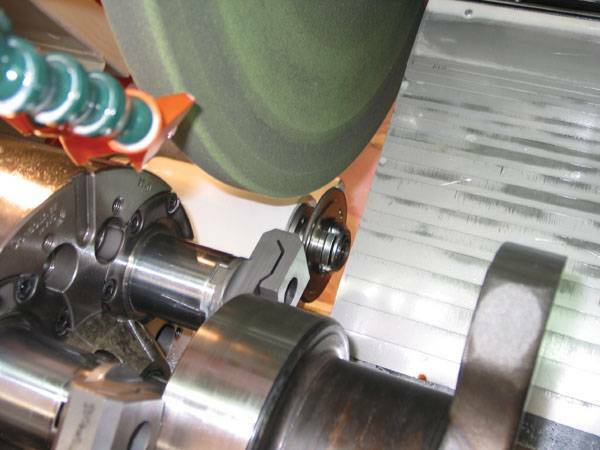 Concave Cam grinding, with 2nd grinding wheel. CAMVIEW is a specific program that enables the operator to view the difference between the theoretical and actual contour of the cam. With this utility it is possible to modify the deviation between the two curves by also calculating and viewing the effect it will have on the valve opening law. Wheel dressing device via CNC to obtain almost any grinding wheel profile. The radius can be dressed both on left and on right wheel sides, for straight or angular infeed. The file with the dressing program to shape the wheel can also be imported via external interface. 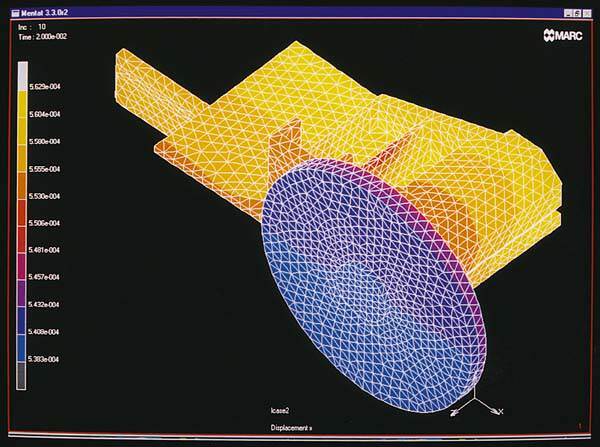 Graphical generation and simulation of the grinding wheel profiling operation is standard. Compensation of the grinding wheel diameter. After the programmed switchover points. After a programmed number either of machined parts or of grinding operations. Three dressing devices (for front, right and left side) installed on the tailstock. Rotating diamond wheel (available upon request). 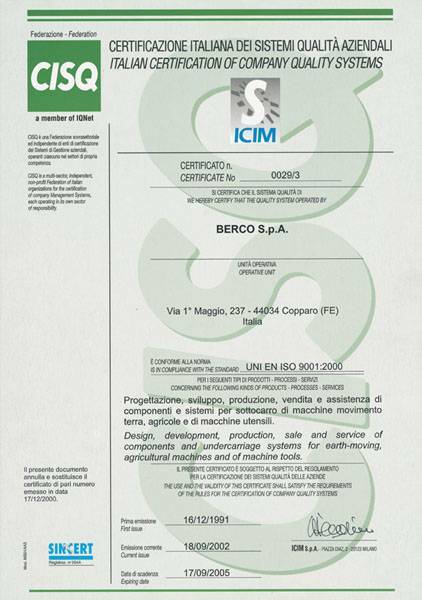 After your decision for investment, Berco will always be standing by with their quick and competent After Sales Service. Expert technicians will be able to solve your problems while an efficient logistic organization will be able to quickly deliver spare parts wherever you need them. Easy access to complete interior. Operator friendly for flexible grinding. Not only do we care about our customers, supplying quality machines manufactured since '91 under ISO9001 certified process, but we also care about the environment. 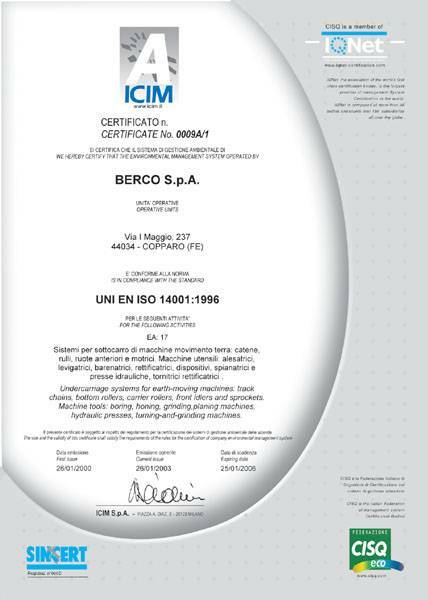 Since Jan 2000, Berco is ISO14001 certified and has adopted Environmental Procedures throughout the entire manufacturing process. We have an Environmental Strategy and we continuously check on the progress made toward the set objective.